Tom Hades started to discover and experiment with electronic music when listening to DAF, Kraftwerk, Front 242…At the age of 15, he bought his first keyboard, the famous Casio CZ-101 and transformed his game-computer, Amiga 500, into his first DAW. Quickly he got experienced with MIDI-integration and sampling functions, which gave him even more urge for buying/selling new material as addition to his current setup. During the same period, his old schoolfriend, RedHead, was co-producing with Marco Bailey. 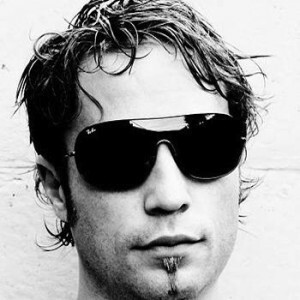 He got in contact with Marco too which led them in 2000 to their first co-release.And this was the start of a big period of releases, included the anthem of “I Love Techno” in 2001. Have a look at the discography for the complete overview…In the same year as I Love Techno, Tom started to do live performances. He got more & more experienced and started to play all over the world. His live performance was fully appreciated in countries like Spain, Colombia, Brazil, France, Poland, Sweden, Mexico, Japan, Austria, Italy, Norway, Ireland…and on many known festivals like Nature One, I Love Techno, City Parade. In the first period of 2002, Tom also produced his first solo release. In the next 3-4 years he continued to produce tracks on his own as well as his co-production with Marco on respected labels like MB Elektronics, Pornographic Recordings, Rhythm Convert, Northwest Dynamics, Invasion, Fine Audio, Patterns, Lupp. In 2004, they decided it was time to take the next step, start a label. And so Rhythm Convert was born. Initially, the purpose of the label was to give an opportunity to new talents to release their stuff. Guys like Axel Karakasis, Spiros Kaloumenos, Veztax, … did a very good job to show the people what is was all about. Nowadays, the label is more aimed to produce electro-techno tracks and less oriented towards loopy techno sounds. End 2004, they released their full album, Rude Boy, caused a stirr all over the world. The best proof was their live performance during Nature One @ Pydna were they literally “blew the place to kingdom come”. His current releases on labels like MB Elektronics & Rhythm Convert are oriented in the same way his musical taste changes, more melodic and even sometimes more dramatic music with flavors of techno, minimal, tekhouse and electro. Nowadays, Tom is busy at concentrating in his next step, to develop his “dj-career”. In the near future, you can expect dj-sets with dedication and filled with energy, as known from his live-sets, to give his fans the pleasure of clubbing. But as every self-respected artist, he will never forget his roots, so live-sets will still be part of his main occupation. In the means of productions, future releases will certainly be done, as well as a second album together with Marco. So keep your eyes open on some new productions, because they will certainly surprise lots of people !! !